Are you left-brained or right-brained? Are you more logical or creative? In fact, you can be both left-brained and right-brained. Activate both sides of your brain and make your brain function in a balanced way. How to do that? Read this book to find out the secrets now! This book contains a simple day-to-day program to help you harness the awesome power of the spiritual dimension and enter an exciting new creative realm. Only ten percent of us use both sides of the brain in a balanced way. Most people cultivate the brain's logical left side and ignore the enormous potential of the creative right side. But now you have the key to the full powers of your mind and an amazing transformation of your life! 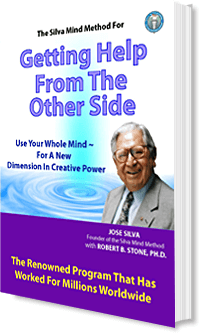 The Silva Mind Method for Getting Help from The Other Side shows you how to activate the right side of your brain and gain access to your higher intelligence, creativity and energy.  Chapter 1 : What is "The Other Side" ?